Visa has got Olympic gold medallist sprinter Usain Bolt onboard its London ePrix event, with the Jamaican offering a "fan boost" via Twitter to the driver who wins a 100 metre sprint ahead of Saturday and Sunday's race. The Formula E Visa London ePrix is a street race featuring electric Formula 1-style cars, which this weekend (27-28 June) will see drivers compete on a circuit at Battersea Park. 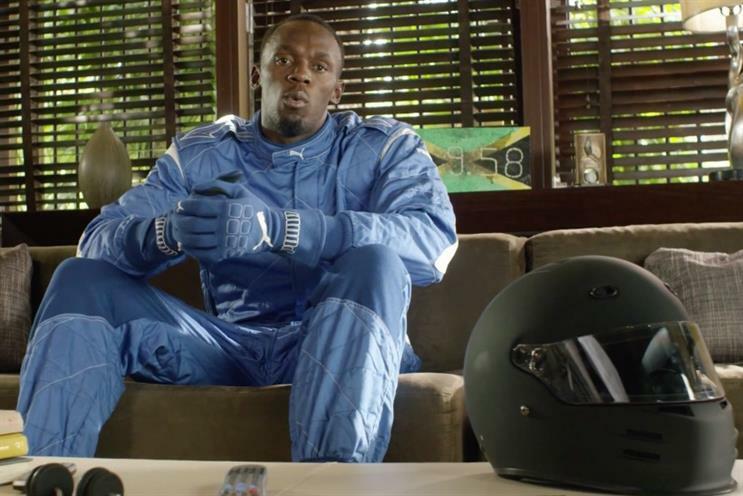 Bolt has explained his support of the even and issued his challenge to drivers in a YouTube video in which he adopts the tongue-in-cheek style he often uses in ads. "I always get an extra boost of speed from my fans when I compete," Bolt says in the 37-second spot. He then puts on a racing helmet and mutters something unintelligible, before removing it. "I want you guys to run 100 metres against each other," he adds. "Whoever wins gets my fan boost. Simple, right? Good luck." "Hmm, @FIAFormulaE - before I give my #FanBoost away, let's see how fast you drivers really are... #BoostedByBolt"
Visa will be offering spectators at Formula E a selection of family-friendly activities at the Visa Europe eVillage area.